Shoveling food in your mouth is the most effective way to beat hunger pangs, and nothing shovels better than a nachos. 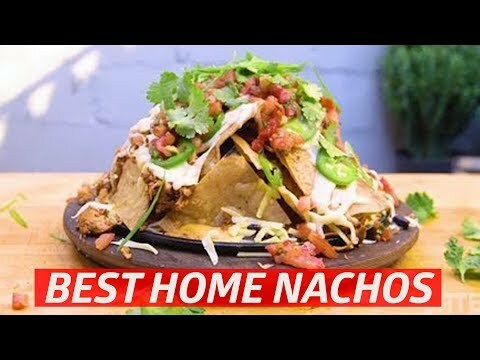 All nachos are good, but nachos built on a bed of Nacho Cheese Doritos are excellent. 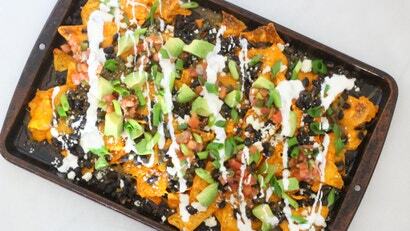 Nachos are a perfect snack for parties or the big game. 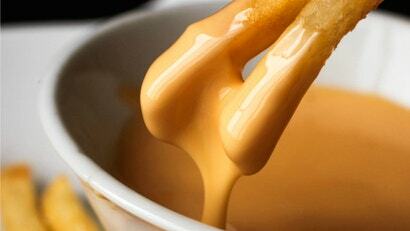 If you try to melt cheese all by itself, however, you'll end up with an oily, greasy mess. You can get the flavour of your favourite cheese, and the silky smooth texture of the processed stuff, with the help of a little chemistry. 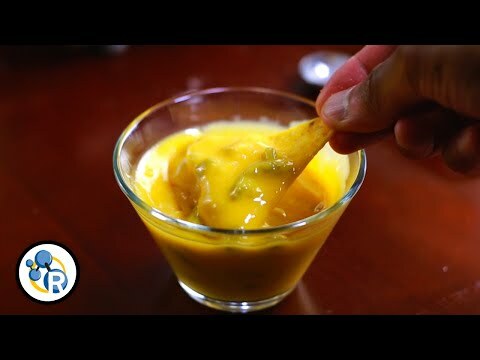 There's something synthetically glorious about store-bought cheese, but if you want an ooey-gooey cheese dip that is made with real cheese rather than "cheese product," you're going to want a can of evaporated milk.